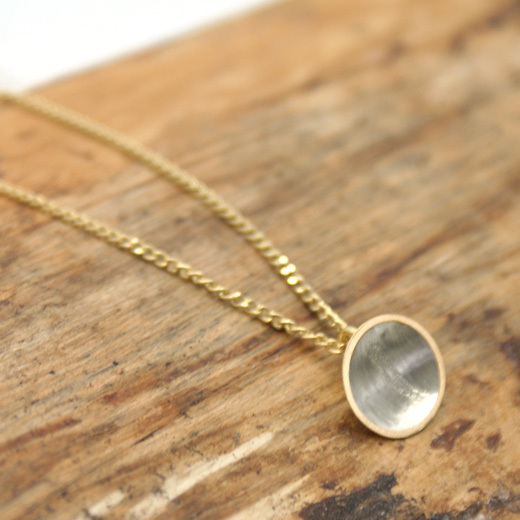 A simpe, elegant pendant and chain from Pura Mexico. 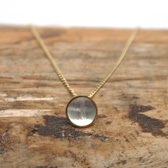 This handcrafted pendant features a gold plated disk with an inner lining of brushed sterling silver and a gold plate edge on a gold plated chain. The back of the pendant is finished in gold and there are faint lines on the brushed silver front to catch the light and represent rain on a window. The combination of the two metals is very striking and the pendat will enhance any outfit and look equally elegant with evening wear. 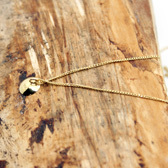 We have matching earrings to go with this pendant and chain on this page. A high quality sterling silver and gold plated pendant and chain and great value. Like all of our products, it is brand new and in stock in the UK, ready for our super fast shipping. 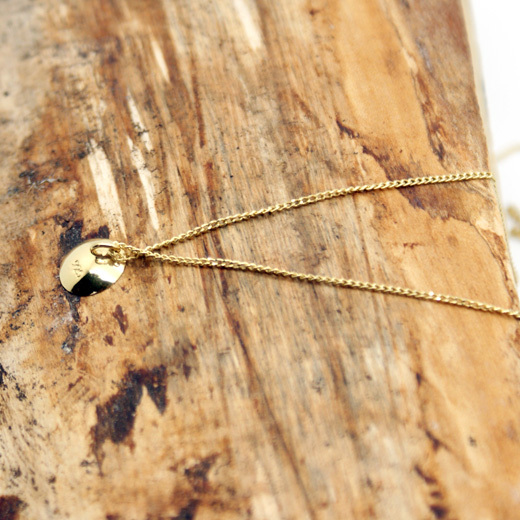 The length of the chain is 20 inches with an extra one inch of oval links for an extension to the length of chain.